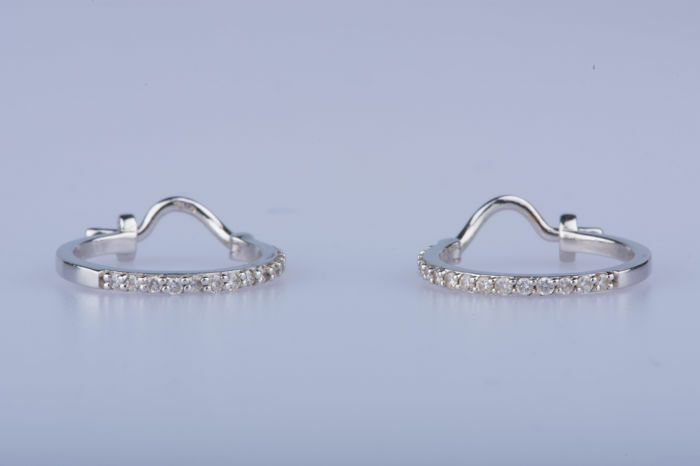 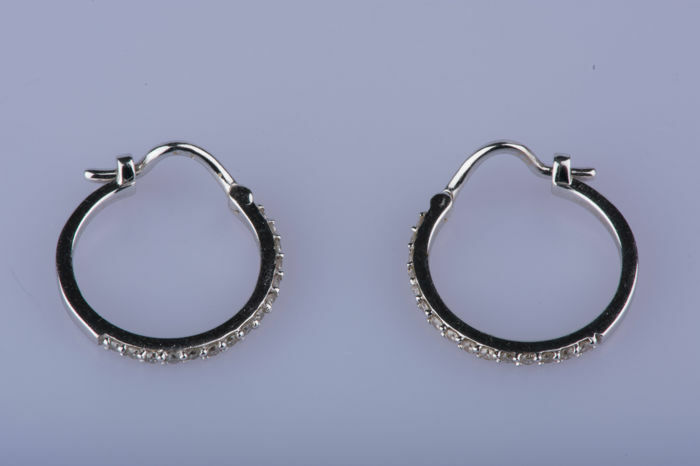 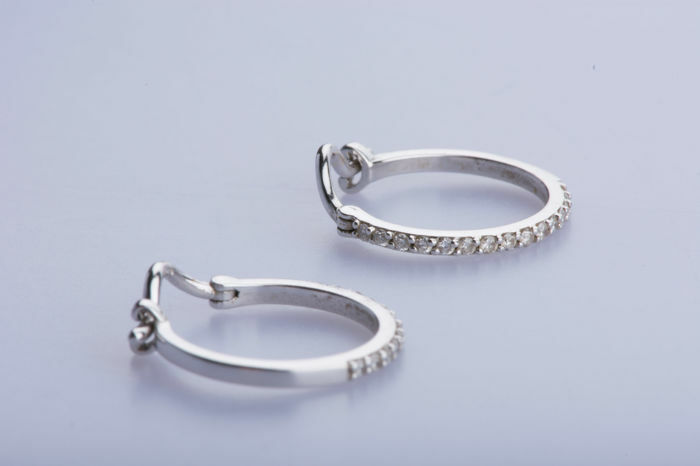 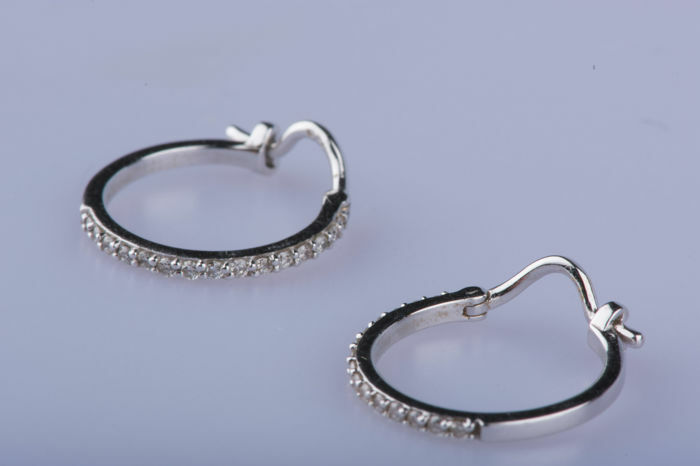 18 kt (750/1,000) white gold earrings. 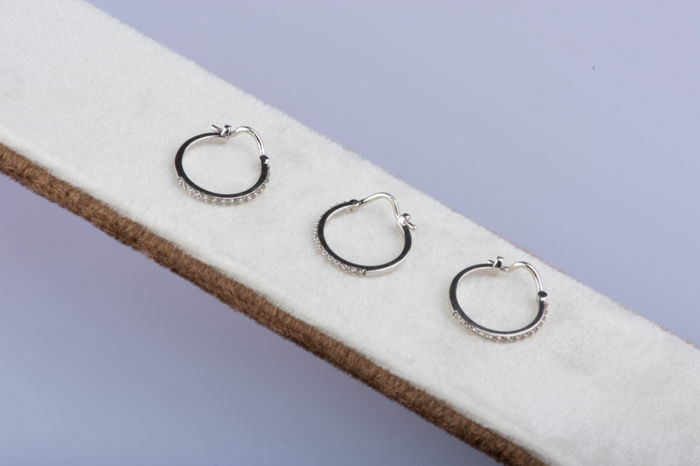 3 x 15: 45 diamonds approx. 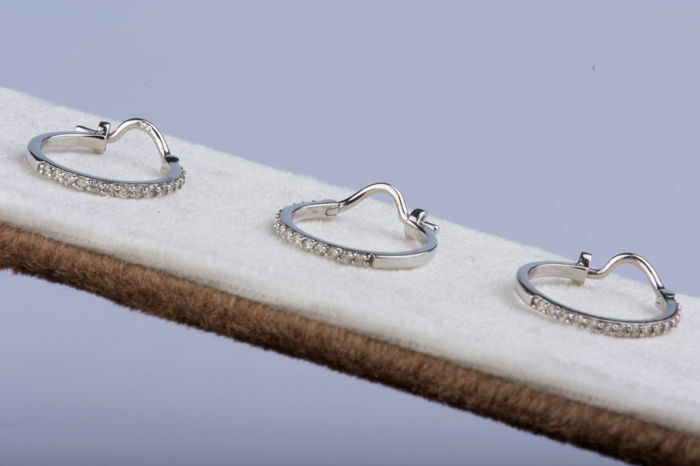 0.45 ct in total.